Of course there was a spate of theories, some more plausible than others. 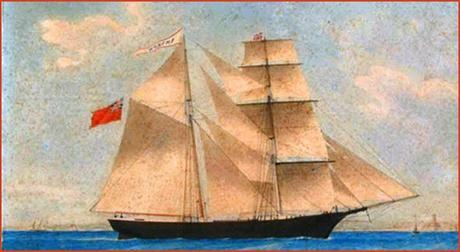 Had the ship been boarded by pirates or subject to a mutiny by the crew? There were no signs of violence and nothing had been plundered. Could the crew have all eaten contaminated food (bad flour being the principal culprit), hallucinated and jumped overboard? Again no evidence was found. Had they feared the ship's cargo (1,700 barrels of poisonous 'denatured' alcohol) was about to explode and so abandoned ship? Once more there was no hard evidence to suggest this was the case. Had they been washed overboard by a sudden waterspout? Or abducted by an alien space-ship (a novel idea in the 1880s)? Or plucked from the safety of their craft by a mighty malevolent sea creature? 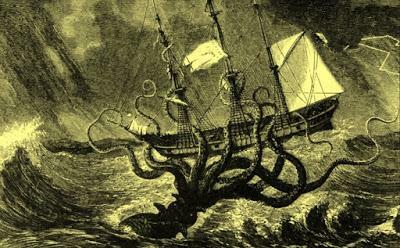 This latter giant squid theory, though of course completely implausible, is my favorite bonkers solution to the enduring mystery of the disappearing crew.